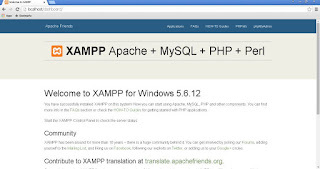 XAMPP is an application or software that wraps some applications in one package in order to facilitate the process of installing a web server. 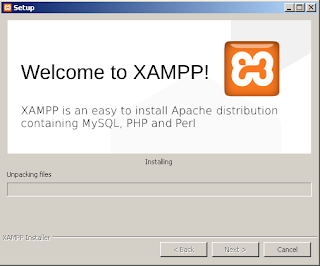 XAMPP is commonly used by beginners who are practicing web programming or even a web programmer to test web applications on the local server, in this case the XAMPP installed on the local computer or localhost. 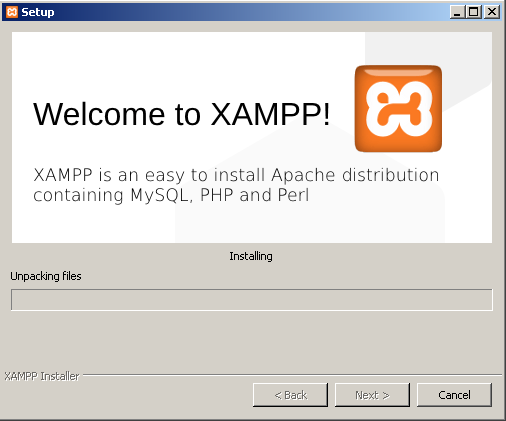 The main application that included in a package of XAMPP are Apache Web Server, PHP and Perl as web programming language and MySQL as database management system. In addition to the main application XAMPP also provides the OpenSSL module to handle the traffic data via SSL using https protocol, and phpMyAdmin as MySQL interface that makes easy way to manage the database. 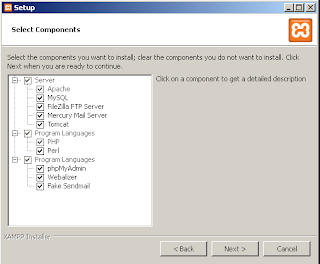 The following are the steps to installing XAMPP on Windows 7 platform to local computer. 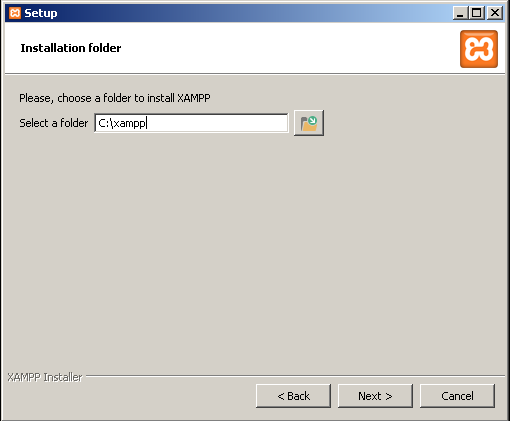 Before we begin the installation, we need to prepare the XAMPP setup file. To get this file we can download from the official website of XAMPP https://www.apachefriends.org. 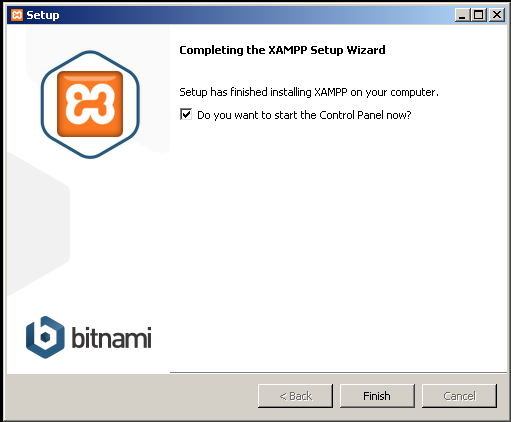 XAMPP version used in the installation process in this article is 5.6.12-0, you can customize the steps with the XAMPP version you have downloaded. 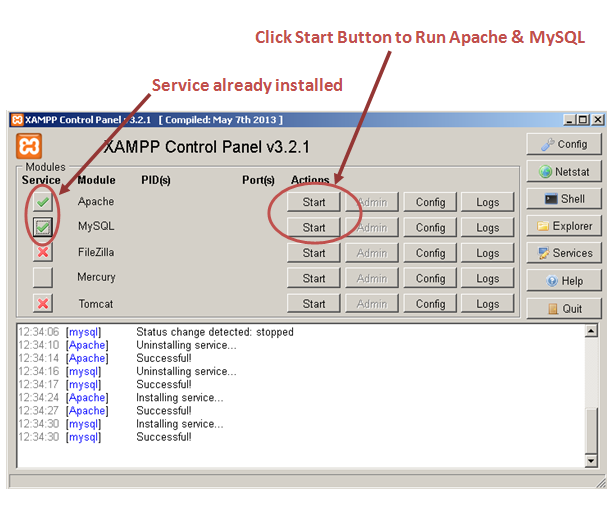 After XAMPP setup file you downloaded successfully, you can run it by doing double click on that file. 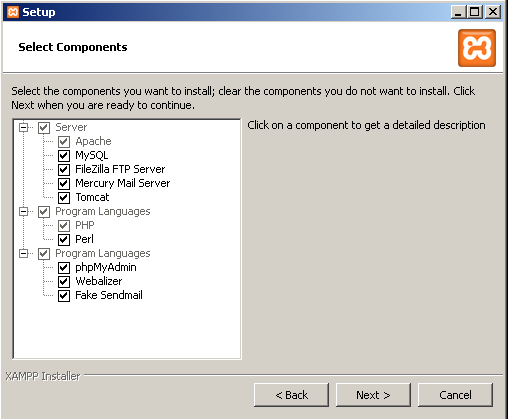 In this example, the setup file of XAMPP that I use is xampp-win32-5.6.12-0-VC11-installer.exe. 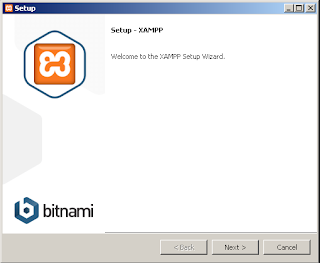 In the picture below is an illustration XAMPP setup file on my computer. After the setup file is clicked we will find the display as shown below, when at the time of running the installer the antivirus is still in active condition. After the setup file is clicked we will find the display as shown below, when at the time of running the installer the antivirus is still in active condition. You can disable antivirus by click for a while until the installation process is complete by click the button "Yes". The next will appear the initial window installation (Welcome Setup Wizard). Click the "Next" button to continue the process. The next window will appear to select the components to be installed. At this point I let all components selected. 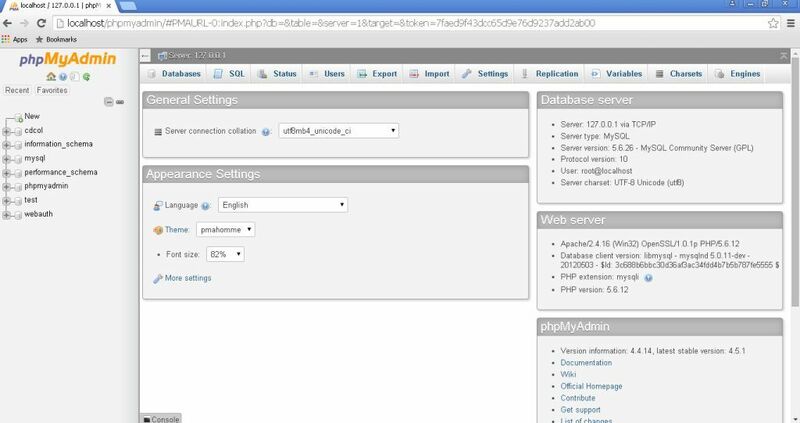 If you had wished to select only certain components, I recommend to install important components such as Apache, PHP, MySQL and phpMyAdmin. After determining the components that will be installed click the "Next" button to proceed to the next stage. 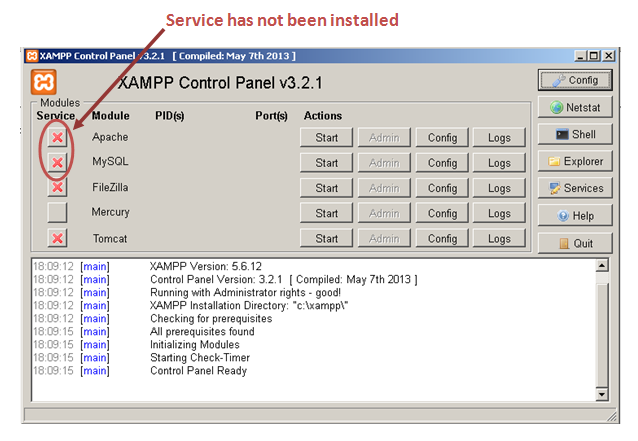 It now appears a window that asks us to determine the location of the XAMPP installation. 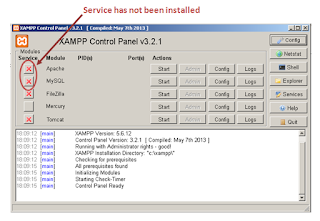 By default XAMPP will be installed on "C:\xampp" directory, however we can change to another directory. Click the "Next" button to continue. 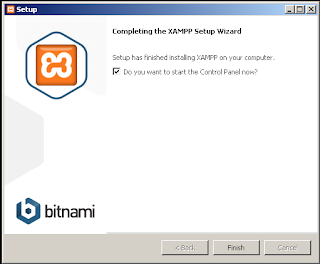 Now it appears the window "Bitnami For XAMPP", XAMPP offers addons from Bitnami to installing some CMS like Drupal, Joomla!, Wordpress via XAMPP. 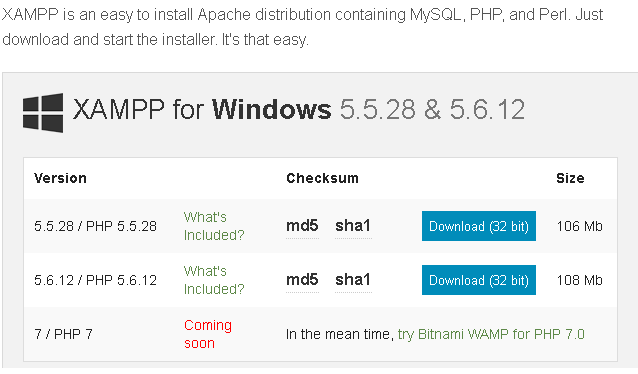 At this stage I uncheck the checkbox "Learn More About Bitnami" by reason of I can install it manually. Continue the installation by clicking "Next" button, then appears a window '"Ready to Install", this window confirm that the preparation of the installation has been completed and is ready to continue start the installation. Continue by pressing the "Next" button. Now a window appears showing the installation process, wait until this process is complete. 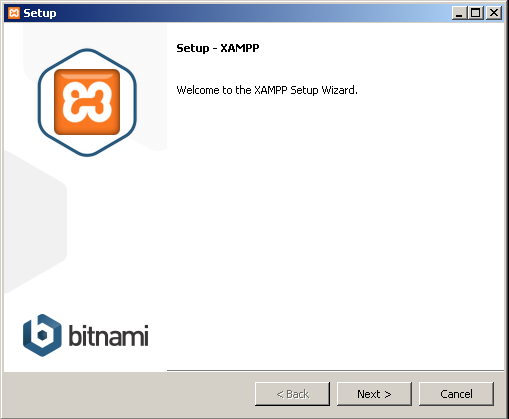 When the XAMPP installation process has finished, will appear a window "Completing the XAMPP Setup Wizard". In this window there is a checkbox "Do you want to start the Control Panel Now? ", select this checkbox and click finish then will appear the Control Panel window. To install the service, click the cross button then click "yes" in the confirmation window. If the service has been installed, the button will change to a check button. After service successfully installed, now you can run Apache and MySQL module by clicking the start button on each module. If the "Start" button changed to "Stop" then the service successfully started. If an error occurred, you can try to restart your computer first. After the installation process is complete and the service was run successfully, now it's time to test a web server that has installed. To test the web server, open your web browser and then type in the address bar http://localhost you will be redirected to the page http://localhost/dashboard, If you get the following display on the web browser, it means that Apache web server has worked. 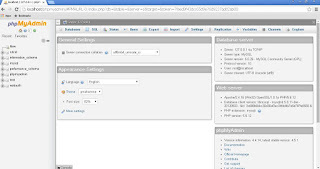 After testing the web server, followed by testing of MySQL as a Database Management System that will be connected with PHP when we create applications. To test whether MySQL is working, you can click the link phpMyAdmin on the dashboard or by entering URL http://localhost/phpmyadmin. If you get the look like the image below and no error messages appear and you see some of the database name on the left sidebar like information_schema, mysql, performance_schema and others it means that MySQL has worked. 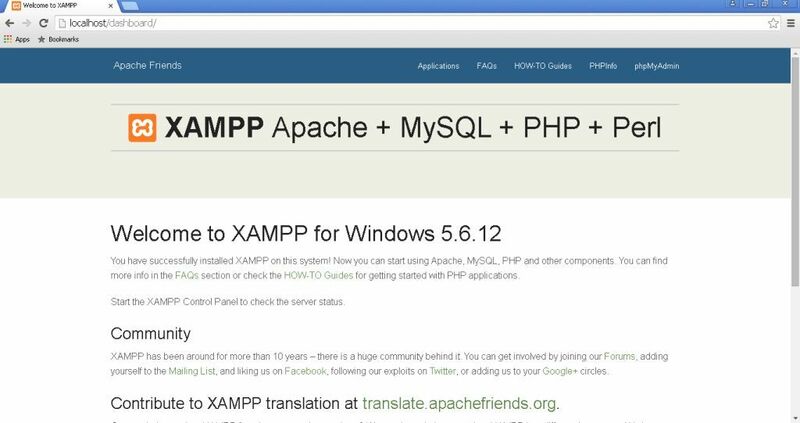 That's the steps to install XAMPP on your computer as localhost. The installation process is done just to testing a web on the local computer before published or for beginners who started to learn web programming.